We Match the Perfect Caregiver with Your Unique Needs. In order to understand your situation and needs, we ask you a series of questions about your loved one or person under your care. Take the initiative or wait for instructions. Picking out clothes to wear. Changing sheets and pillow cases. The right caregiver makes all the difference. While asking you these questions we also ask what is most important, do’s & don’ts and whatever else you think would be helpful for us to know. Once completed, we recommend that the answers to these questions are posted on the refrigerator of your loved one or the person under your care. Value Care provides this one page sheet for all to benefit. Your caregiver can then refer to these answers as a reminder of what you want them to do. After your 1st caregiver visit we call you to make sure you are 100% satisfied! We discuss whether your needs were met, how you feel about your caregiver and what if any improvements can be made. We then use this information to rate the caregiver. These ratings are updated on an ongoing basis. We then take these ratings into consideration – in combination with Value Care’s caregiver referral screening process known as our FIVE STAR PROMISE – before referring that caregiver in the future. This helps to ensure your satisfaction from the first day of care. 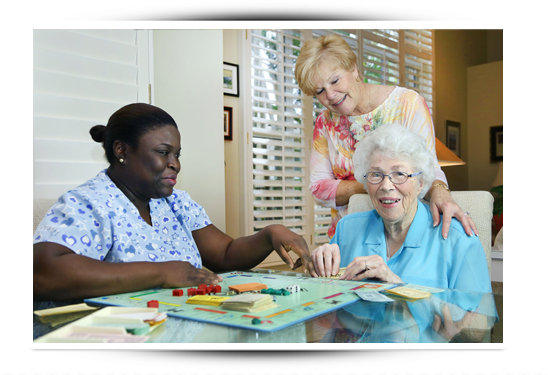 To learn more about our Care Match Program please Call Us Today.